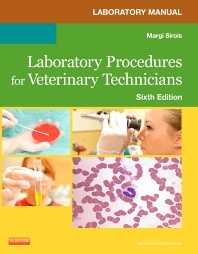 Reinforce the essential information you need with the Laboratory Manual for Laboratory Procedures for Veterinary Technicians, 6th Edition. Each unit corresponds to a unit in the textbook, with various exercises and test questions that help you focus on key concepts and skills for the veterinary clinic setting. Fill-in-the-blank exercises, lab exercises, crossword puzzles, word searches, photo quizzes, lab forms, specimen pictures, and review questions all help to clarify more challenging concepts.